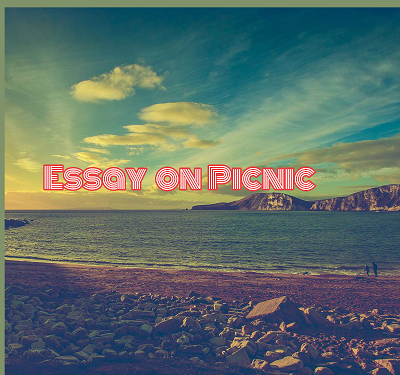 Below you will find long and short Essay on Picnic that will help school students to write essay on different occasions like picnic with family, relatives, schoolmates and friends. Paragraph outlines on picnic party preparation and more. Following are the assorted essay topic on picnic with family friend and schoolmates. Last Sunday, I went to spring dale for a picnic with my schoolmates. Our science teacher escorted us. She took around the places, she was aware about the place. She made us familiar with different plants and flowers that grew there. The dale was blooming with different varieties of roses, sunflowers, hibiscus, pansies, and dahlias. The row of white lilies carried me to dreamland. There was an artificial lake with swans and ducks in it. Under a shady tree we shared our food that each of us had brought. We all had a wonderful time there. Then we returned home by the school bus. Short Paragraph on Picnic: We went on a picnic this rainy season. The weather was fine, sky was clear and a cool breeze was blowing. Some of my friends came to my house and decided to go on a picnic. I readily agreed. Then we set off on our bicycles. After reaching the spot, we spread a carpet under a shady tree and sat on it. Then we prepared a tea. Some of us enjoyed the beauty of nature. Everyone’s heart was light and mind was fresh. In the afternoon we took tea, sang songs and dance merrily. We played some indoor and outdoor games and exchange jokes. At dusk we came back feeling very happy. We had jolly day. 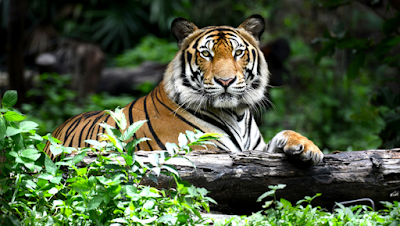 Introduction: I am a student of K.V Higher secondary school, Haldwani. On 11 January, 2017, my friends came to my house. They forced me to arrange for picnic. I became ready to make a good programme. Arrangements: Every one of us gave 200 rupees for purchasing necessary things. On the following day, we got up early in the morning . Then we started on bikes towards the river Ganges. We had some breads, butter, tea, sugar, milk and fruits on our baskets. Enjoyment: After half an hour we reached Rajghat Narora. Then we hired a boat. We placed all the articles in it. The rowing of boat gave us much pleasure. My friend Ramesh began to sing his favourite song ‘Hum dur chale duniya se’. We all had a fun, we enjoyed every momentum. After some time I began to narrate the famous story of Sindabad, the sailor. My friends liked it. Then we collected some pieces of wood. We prepared tea. The refreshment was served by Harish and Mahesh. We were all in jolly mood. After some time, we played at cards. Ramesh played on his piano. His music was very decent, everybody liked it. Mahesh tried to imitate wild animals, his performance was extraordinary. Sometimes he cried like a donkey, sometimes he roared like a lion. Certainly he is a master of his art. None of us could copy him. Conclusion: At about 4 p.m., we returned home. Everybody was happy. All of us enjoyed the day very much. My friends appreciated the programme. They praised me for making decent arrangements for the picnic. How to write paragraph on picnic party - Outline? Introduction: Saturday evening, sitting with parents after dinner, discussion about Sunday outing, picnic to the old temple. “Preparations were made with care and thoroughness”, mother making purees, sister preparing tea, milk for baby brother – myself shopping for jalebees and bananas – even father excited – helping mother in the kitchen. The temple about 5 kilometres from our places, reach at 10 a.m – Some by rickshaw, others by cycle – choose a quite spot – have tea. Inside the temple it was dark and cool. Long corridors, broken stone images – big hall with the idol of Lord Shiva. A small rivulet flowed by the eastern side of the temple. Big marbles lying on its bank. Little silvery fish – go boating, play cards – sing songs – exchange jokes. Offered puffed rice to the fishes in the river. Evening sets in, unwilling to return yet, have to – reach home – tired – bright moonlight on the way. Essay on Picnic with family: Where shall we go tomorrow? Asked my little brother last Saturday night, when we all were in the sitting room after having dinner. Father, mother and the rest of us always sit together for some-time after dinner. I said, ‘Let us go to the cinema’. My sister doesn’t like film at all. She say, she gets a headache when inside a cinema hall. She said, ‘Let go to the old temple in Chakrata’. “That is a good idea,” mother said. We decided to go to Chakrata. We went to bed soon after. Next morning, we began our preparations. Mother, as usual, got up before sunrise. After having her bath she started making ‘purees’ for us, sister prepared tea and filled two flasks. Milk for the baby brother was also boiled. We took another flash for him. I went to the market to buy jalebees and bananas. We were amused to see even father so excited. He was in the kitchen helping mother. The temple was about 5 kilometres from our place. We hired two rickshaws. I preferred going by bike. We reached the temple about 10 a.m. We were very hungry. First we chose a quiet spot. Spreading our rug and had our tea. Then we decided to go inside the temple. Inside there it was dark and cool. The ancient building with its thick walls and high ceiling made the inside very comfortable. There was long corridor leading to three big rooms. All around the building there were broken stone images. Most of these were of gods and goddesses. We entered the big hall which had idol of Lord Shiva at the centre. The expression on the face of the idol was marvellous. Mother was full of feeling. She offered some flowers to Lord Shiva. A river flowed by the eastern side of the temple. There were marbles, plenty of them on both banks of the river. We collected few and round ones. We could see small silvery fish which kept appearing and disappearing in the water. We threw them some puffed rice. Then went boating, the sun had started setting. It was a pleasure to boat in the twilight. While in the boat we played cards, sang songs and exchange jokes. It was getting dark. Mother did not want us to stay on any longer, we had to return. Then we went home, enjoying the bright moonlight. We were tired, but happy.